When life presents an unexpected challenge, hone in on your passion and elevate it for the benefit of others. Roast a marshmallow on a volcano. Check. Turn eleven colleagues from strangers to family within three days. Check. Cry in front of said colleagues and 300 Guatemalan children. Four times. Okay, seven times. Check, check, and check. Control my humidity-manic hair with a hat. Semi-check. Change the lives of children. Check. I was able to complete this bizarre list (and more) by being selected to attend an adidas Social Purpose impact trip with our non-profit partner Soles4Souls this April. 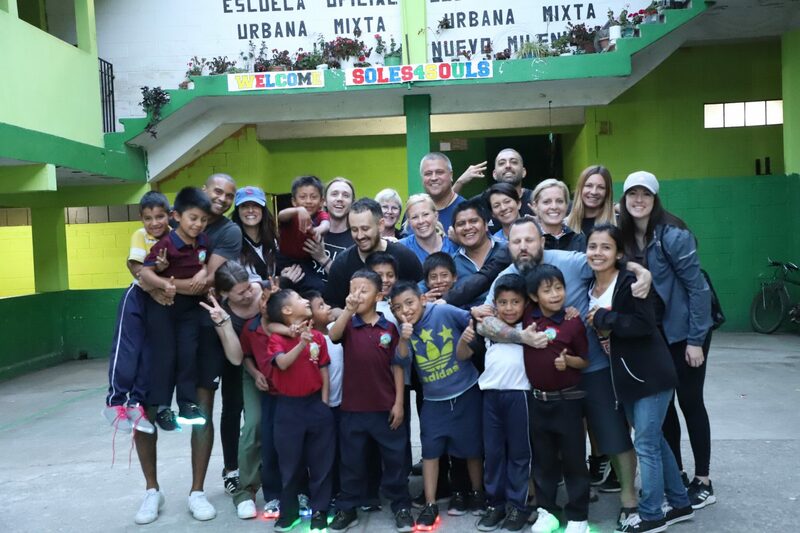 Twelve colleagues from ten different departments and six different cities were chosen to leave their day job, travel to Guatemala and distribute sports shoes in some of the most poverty-stricken corners of the world. During our three days, we visited four different schools and provided trainers to nearly 1,000 children in need. The adidas team ready to deliver the power of a pair of shoes to hundreds of students at a school in Antigua. Before I could embrace the once-in-a-lifetime opportunity ahead of me, I had to face a newly found truth about myself. Not even an hour before finding out I had been chosen for the trip, I had left the cardiologist’s office having learned that a birth defect in my heart had progressed more severely than I thought. The treatment for the defect is open heart surgery, likely to be needed within the next five years; certainly, within the next ten. When I was informed I’d be traveling to Guatemala, I burst into tears. The fear inside of me changed. I felt a sense of peace that was foreign to me, but I have since identified this as the feeling of having a purpose. It wasn’t until I was selected for Guatemala that I began to question my obsession with sneakers. I counted my collection: 42 pairs. At some point, I crossed the line from obsession to addiction. And the worst part is, if I am truly honest with myself, of those 42 pairs there is only one pair that I could truly not do without: my running shoes. My running shoes give me a genuine confidence because they give me the sport that has meant so much to who I’ve become. Running changed my life by cultivating confidence, power, friends, and both mental and physical strengths that I could not have achieved otherwise. 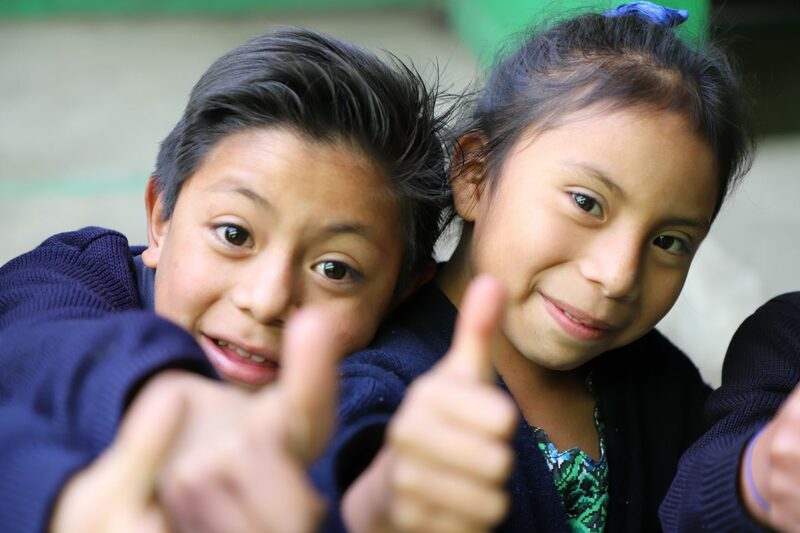 That confidence, power and friendships through running is something that we had a chance to deliver when we landed in Guatemala. No matter the school we visited, there was a heartbreaking common thread: the desperate need for proper footwear. While new shoes are a want for many of us, for these kids, shoes are a need. I quickly realized I was fitting kids with more than just a pair of shoes. As we fit them with a new pair, neither color nor style mattered. The only thing that mattered was that it was a shoe; a shoe that would allow them to walk to school, to play sports, and to be children without worry of injury and disease. Seeing the shoes come out of the box and onto their feet, their eyes radiated a light within that spread to their smiles. Each child gave a hug and a thank you before running to proudly show friends their new shoes. I will forever love shoes; however, now, I love them differently. I have seen in the eyes of those children what it truly means to give someone the power that my running shoes have given me. Knowing that I have a greater purpose in the world, greater than open heart surgery and my own shoe obsession, has left me a forever changed human. If there’s one thing I learned on this trip, it’s to lead with your heart in everything you do – at work, at home and while interacting with others.You never know how your heart can change your own life – and the world. 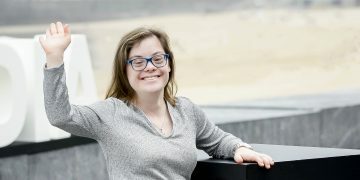 Laura - what a wonderful story! I am awed by your humility, grace and passion for what you do. Thank you for sharing such a powerful experience and your personal insights. You did well, my friend. You did well. Check! lovely write up. thanks laura. Tears Laura. So well written. I could feel your emotions through your words. THANK YOU for sharing! Thank you so much Kaytee! Nice work Laura! I'm blown away and completely envious that you had this opportunity! Lee— so great to hear from you! Thank you! I like the way you think Laura! Great read. Definitely feeling all of the emotion in your pics as well. Laura, I am so happy for you, what an experience. I love your writing, thank you for sharing. Wow! What a story!!! Reminds me to lead with MY heart. And I’m a nurse so leading with heart is important but sometimes we forget. Oh, and proud that my daughter’s favorite babysitter grew up to be such an incredible young woman. And this heart thing? You’ve had an amazing heart ALL your life. You’ve got this Laura. You’ve got this. Thank you Erin-- I appreciate you and your kind words! The tears to my eyes are but an echo of how it made my heart feel. This was beautifully written. Thank you for sharing your perspective. Miss you Laura! Thank you! A NEW HEART – What the LaLa?